Who Is To Blame When a Custom Designed Product Doesn't Turn Out As Envisioned? It’s everybody’s favorite question and no one’s favorite game. Too many times we are expected to do something and if it’s done incorrectly, whether it be the front lines, side lines, or behind the lines, everyone finds someone to blame. Recently, Fortis was asked to design a lifting device and as with nearly every product that gets designed there are many different stakeholders involved. There are people who request the products, who design the products, and who purchase and fabricate the products. As a designer, it is important that I properly communicate with all of the people involved. Sometimes, this involves asking questions that I don’t even know exist; this can make it very difficult to receive proper information. If I don’t know what questions to ask, how can I ask them? If I design something and it is not what someone else envisioned, am I to blame? What about the person who requested the product and when they received it, it looked completely different than what they saw in their mind? Or the person who designed it on paper when they quoted it? All of these people knew the product that was being ordered and saw different versions of it being designed. Does this make it wrong? Absolutely not. 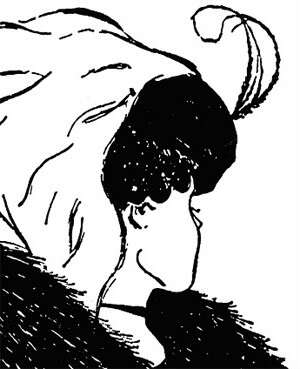 The best example of this is an optical illusion - is it a young woman looking away, or the face of an older woman? Everyone sees things differently. Since the beginning of time, people have been communicating. When it isn’t with words, it is with gestures and body language. Now communication is becoming more popular through email and technology where we can receive important information that can be properly tracked. This makes it easier to blame others because now we have proof of communication (or lack of). However, if no one is wrong, how can you place blame? In the end, the importance of an issue should not be blaming someone for a “mistake” or seeing something differently – it should be determining how to resolve these issues so they don’t happen again. The only way to minimize issues is by providing any and all information on a specific vision for a product. Fortis Mining, Engineering, and Manufacturing excels at providing custom products for many different aspects of mining, manufacturing, and industrial solutions. We are always striving to improve communication internally (between Fortis Employees and Employers) and externally (between Fortis and its Customers). If you have a design in mind, it can be achieved at Fortis Mining, Engineering, and Manufacturing. In the custom fabrication world most projects come and go however, every now and again there is a unique challenge to get a quality product efficiently completed in order to meet schedule requirements. While considering all aspects at hand and meeting quality control check points, Fortis Manufacturing has risen to the challenge repeatedly throughout its history. The latest challenge currently being completed at Fortis’ fabrication shop, is a huge conveyor frames order – slightly over 8,100 of them. With Fortis Manufacturing ingenuity, the welding assembly line was born. In order to meet schedule requirements, each process and step needed to be identified and planned in order to ensure efficiency was a key factor. Fortis short-cut the time needed to find parts – everything is in hand reach for fabrication. 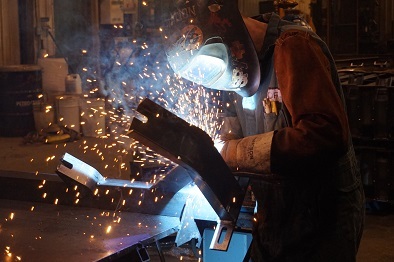 Fortis short-cut the set up time by building fixtures to aid in the welding. Fortis short-cut the time for moving welded components – Work areas were identified and staged to keep productivity levels at acceptable speeds. Fortis short-cut rework requirements by establishing continuous checks throughout the fabrication cycle. All the clients’ specifications are being met. Detailed inspection test plans are developed and being used to ensure all areas are being monitored and reviewed. Safety in design options offered to the Client for approval to highlight safety areas. Developing a value added packaging option, which can reduce waste as well as increase operation efficiency with moving a large volume of product. Ensuring all industry regulations and requirements are upheld like CWB certifications and industry requirements. Fortis Mining, Engineering, and Manufacturing has the capability to fulfill all your Industrial needs. From engineering, to welding, to machining, to install, Fortis can complete all your project requirements. No job is too complex or too small, Fortis will work through them all. Please visit www.fortiscorporation.com for a full company profile and please feel free to email info@fortiscorporation.com or call 306-242-4427 to contact Fortis to see how we can help you with you next project. Fortis MIning, Engineering and Manufacturing is proudly Saskatoon, Saskatchewan owned and operated.